We will not only not waste your time but will also help you save money. Call for a free quote today and see how you can arrange us to come over for a full house sanitation assistance. Our representatives will give you all the options you have when it comes to selecting deals and offers. Our cleaners can also do top class dry cleaning in Chicago. 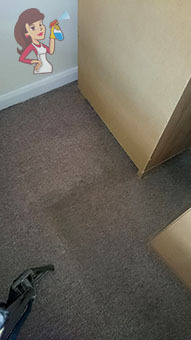 Many times people need us to fix their faded carpets or stained upholstery. We have high end solutions and tools and thanks to this we are the leading name when it comes to domestic cleaning in Chicago. We will deal with your stains and spills swiftly and effectively. Don’t worry about your belongings as they will not be damaged. iClean Chicago also has full insurance so you are completely covered. Other specific item cleaning services include oven and kitchen sanitation. We have specialized cleaning supplies designated especially for the places where you prepare your food. Our cleaners are also able to focus on your basement or attic. 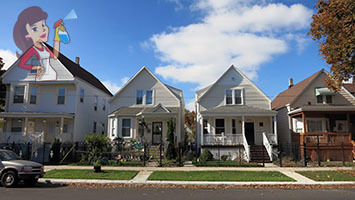 You can include Chicago house clearance in the package and get a discounted price. We will rid you of anything obsolete and will dispose of it properly. We work closely with Chicago recycling facilities in attempt to protect the environment. We also have advanced equipment to clean stuff outside. Hire us for top grade patio cleaning or driveway wash in Chicago. Our cleaners will bring along power washers and will remove all sorts of dirt from your wooden finish or tiles. Beware that this method can be risky if applied on fragile surfaces. Chicago, IL is one of the most influential cities in the USA. It is located right by the Lake Michigan and has an outstanding view. Another great view is the skyline of Chicago where the John Hanckock Center is above all other buildings with its 1, 127 feet. The Chicago harbor lighthouse was built over a century ago.